T-fab Tables – Sturdy, Safe, Convenient – A Great Value!. Easy access – most effective use of space. Because T-fab suspended tables have no legs, wheelchair patients and attendants find easy access. No table legs to bump. Clean-up of the dining area is faster and easier too! These tables create savings on owner expense thanks to greatly reduced set-up and tear down time and fast and easy floor cleaning and maintenance.. 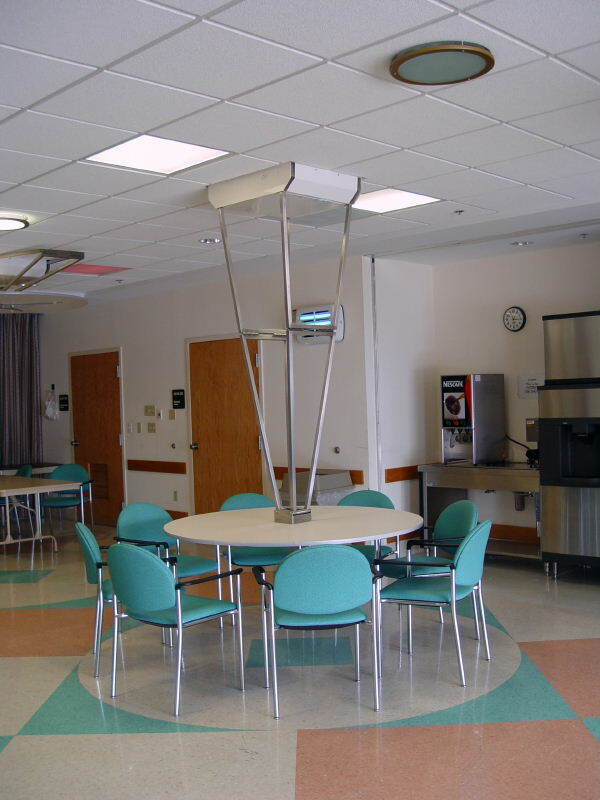 Suspended tables provide an unequaled alternative for more effective use of space in long-term care facilities.